This session has been canceled. Please check back later for the status of future sessions. Learn easy yoga postures and mindfulness techniques to help you manage stress. No registration required, but a waiver must be signed at the beginning of class in order to participate. To get the most out of the yoga practice, please come with an empty stomach wearing comfortable loose clothing. Please bring a yoga mat if you have one! 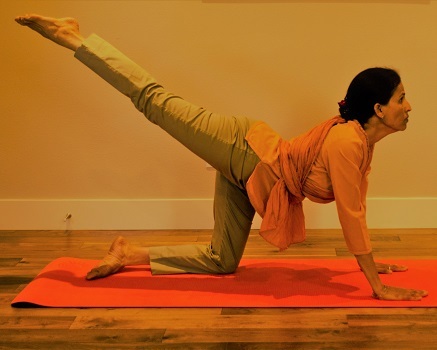 Madhavi Nadendla is a certified Ashtanga yoga instructor who has been teaching yoga for over two years. She trained at the reputed Mt. Madonna Center.